We can be reached via phone, email, teleconferencing, or an in-person meeting. Or if you prefer, fill out your information on the contact form below and we’ll reach out directly to you.  What makes Alhambra Investments different? Our thorough markets and economic research drives our investment strategies and differentiates us from the competition. Our research focuses on what actually moves financial markets (behavioral finance, yield curve, credit spreads), and at times this leads us to reject a lot of mainstream economic and financial theories. For example, we’ve been one of the industry’s most prominent critics on the failure of quantitative easing and recent central bank theories and policies, and on the investment side, modern portfolio theory. We focus on delivering value to our clients by challenging accepted views to find insights that can deliver better results than our peers. Many of our clients come to us because they’ve seen the failures of mainstream investment thinking and are seeking a firm focused on truly understanding the global macro-economic risk environment. Doesn’t everyone managing investments claim to use smart research? We stand out for doing the difficult research on complex topics at the center of today’s financial markets. That’s why among those who subscribe to our newsletter include professional economists and investment advisors, including our own competitors. We have over 100 years of experience between our researchers. Our team members have spoken as experts at conferences and for business news channels. We’ve even provided questions to congresspeople to use during interviews of the Chair of the Federal Reserve. Our research directly informs our investment process. We focus on writing, not what we think will sell, but about whatever topics help us better manage our clients’ investments. Why do clients choose to work with Alhambra? Each relationship is different, but there are some attributes many cite. As mentioned, we stand out for our research and analysis. We use that research to create and execute smart strategies for delivering strong long-term performance. Portfolios are also customized to the needs of clients. Our fees and expenses are low. We use well-known custodians, like Schwab, Fidelity and TD Ameritrade, so people feel confident their money is safely secured. There are also the intangibles. Although many in our team have institutional backgrounds, we enjoy working and focusing on serving individual investors. We like our clients and take pride in doing right by them. Why would a client decide against working with Alhambra? We refer to ourselves as a fortress against market storms, and openly label ourselves the conservative choice. Although we do offer a concentrated-stock portfolio strategy aimed at beating the S&P 500, which we usually leverage as a minority position, we are not focused on delivering huge returns. We aren’t a venture capital investor. We don’t run a hedge fund that can employ leverage or short the market. Our portfolios can be a good complement for someone who is also holding high-risk and high-volatility investments seeking huge returns, but our focus is on minimizing risk and delivering solid returns. We won’t triple your money in a year. We build and run customized portfolios, but we, not our clients or other fund managers, execute our strategies. Some folks want to do most of the deciding when it comes to specific investments and securities or approve every small decision; we’re not for them. What can Alhambra Investments do for me? It is rare for us to speak with a prospective client and find them in possession of a smart, strategic investment portfolio. We usually see the work of an advisor who put them in subpar funds with high commissions and fee kickbacks, or locked them in an expensive insurance product. Other times, we see “churning”, or excessive trading, which would generate commissions for a broker. A collection of investments disguised as a strategy, but really just a hodgepodge of seemingly good ideas thrown together under the guise of diversification, is also common. We rarely see a smart, strategic process around investing. Without such a process, investors are at serious risk of not realizing their investment goals, including those around retirement planning. We think people have good reason to be distrustful and upset with a financial industry that frankly does better for itself than its customers. But, we also see investors sitting out of the market in fear or over-invested in risky parts of the market to try to capture performance. To be frank, some of our clients need us to protect them from their worst instincts. We focus on putting our clients first, even at the cost of losing some, if they want us to do something that is not in their own best interest. Why not just buy stocks and bonds? Stocks and bonds have done very well since the 80’s; so have many investors and financial advisors. Nevertheless, since 2000, the broad stock market had its value reduced by about half on two occasions, and on one of those occasions, the tech-heavy Nasdaq lost over three-quarters of its value. That’s a big hit for any retirement account to take. After the 2000 high, stocks didn’t start to march steadily higher until 2013. In the meantime, bond yields have fallen with interest rates too low to satisfy the needs of many investors. And these have been good times. Historically that doesn’t always happen, and there are good reasons to expect a period ahead where retirees will not be able to meet their goals by just buying and holding stocks and bonds. This is why our Fortress, Citadel, and Alhambra Portfolios also leverage commodity and real estate investments that can do well in such periods. It’s why all of our active investment strategies seek to avoid the full impact of major stock market downturns by reducing equity exposure. For us, being a Fortress against Market Storms isn’t just a tagline—it’s a core philosophy at the center of all of our investment strategies. We believe that just always holding stocks and bonds in preordained ratios puts investors at a serious risk of incurring prolonged losses. What is special about your investment approach? At the heart of most of our client accounts is our Fortress Portfolio strategy. Its conception began when a client of our CEO, Joseph Calhoun, asked for an approach that would realize double-digit average annual returns, without any negative years. Such a strategy didn’t exist, so Joe set out to see if it could be done. His research found that the key to success was seeing the financial world in four different states with six different asset classes. The four states exist in quadrants of: rising economic growth and rising U.S. dollar; rising growth and falling dollar; falling growth and falling dollar; and falling growth and rising dollar. The classes, often possessing a U.S. or foreign bias at any given time, are: large capitalization stocks, small-cap stocks, bonds, commodities and real estate. A properly balanced passive mix of these asset classes delivers nearly a ten percent return with only four down years in over 44 years of measurable data we reviewed. By using active decision-making and other complementary strategies, we expect to enhance our returns for clients. We think this is both a different and better way to invest. What investment strategies do you use for clients? We typically employ our Alhambra Portfolio, a compilation of our value-based and diversified strategies. At its heart and the majority of the mix is our actively-managed Fortress Portfolio, known as our Citadel Portfolio. Within the strategy’s baseline, we may invest in individual stocks and bonds, including tax-free bonds, but mostly employ exchange-traded funds, such as an S&P 500 stock index fund, gold fund, or real-estate investment trust index fund. The portfolio typically has a low turnover, even as we re-examine our asset classes and individual securities every month based on market and economic indicators. As part of the mix, we may also employ one of our Archer Portfolios, a quantitative, value-based, and concentrated portfolio of individual securities. We may also add our Pathfinder Portfolio strategy that uses an asset class momentum strategy to improve portfolio return numbers. What do you mean your investment factors have been proven to work? Simply put, we did extensive and exhaustive research into the specific and timeless factors that lead to sustained market outperformance. We then drew up a list of the investment factors that actually work and built our strategies around them. So for instance, we know from our research that mixing asset classes (large-cap stocks, small-cap stocks, bonds, commodities and real estate) in specific quantities can deliver superior, long-term risk-adjusted returns. We also know that credit spreads, the yield curve, valuations and certain high-frequency economic data are predictors of stock market risk. Our Fortress and Citadel Portfolios are built around these and other investment factors. We also know that momentum or price strength of specific asset classes and securities is predictive of future outperformance. As a result, momentum is employed as the basis or in conjunction with other strategies within our Citadel, Pathfinder, and Archer Portfolios. Our research shows that concentrated stock portfolios predicated on value-disciplines can outperform. Consequently, we built our Archer Portfolios around this. We’re happy to share the research around each of these factors with you. How would my accounts be customized? We don’t run funds or put people in one-size-fits-all products. While we build client portfolios around some mix of our three disciplined and well-researched strategies, accounts are often very different from one client to another. We primarily customize by assessing the risk tolerance of a potential client. We start by using five profiles—conservative, moderately conservative, moderate, moderately aggressive, and aggressive. As the years pass, that profile might change, as it’s common for clients’ risk appetite to change based on life circumstances, personal comfort, and retirement needs, and we account for that. We then analyze if a change in the risk budget of a portfolio is warranted based on changes in the market risk environment. Furthermore, on the basis of style preference or account size, one client might use all three strategies and another only one or just two, and the mix could be different for an IRA, taxable account, trust and so forth. We sometimes build around preexisting securities and are very cognizant of a client’s tax sensitivity while building their portfolio. Can I review client performance data? We are happy to share research around the construction of our portfolios, including theoretical performance data generated in the development of the methodologies of our Archer quantitative-value and Pathfinder momentum strategies. We’re also happy to share the research and theoretical performance figures behind our Fortress approach of leveraging five asset classes to generate strong returns while reducing overall market risk. According to the SEC, to generate and share actual client performance data, we must compare identical accounts (or as close as possible), and given that we customize each portfolio to the client’s specifications, we are only able to provide theoretical performance numbers. Our business would in many ways be simpler if we didn’t customize client accounts. If we just ran a few one-size-fits-all account strategies, we could generate and share performance for marketing and sales purposes, while also spending less of our resources. Operationally speaking, it would make a lot of sense, but we believe each client of ours is different and often need materially different portfolios. As a result, while we do track performance and report it directly to our clients, we aren’t able to share that performance to prospective clients per SEC regulations. We are a fee-only advisor. We only charge a simple management fee; no commissions, no kickbacks, no hassle. For household relationships below $500,000, the fee is 1.25%; below $3 million, we charge 1.00%; below $5 million, 0.75%; above $5 million, the amount is negotiable. Under certain circumstances, including passively managed accounts and around extremely conservative portfolios, our fees are even lower, at 0.40%. Billing periods are once a quarter, so one fourth the annual fee would be assessed based on the amount of assets under management at that time. We believe low fees are critical to achieving strong risk-adjusted performance. We are concerned market returns in the years ahead may trend lower, and if that is the case, keeping fees low is going to become even more important. We think high expenses and a lack of transparency is a big problem in our industry, and you will find our fees simple to understand. Where would my money be held? We primarily use Fidelity Investments, Charles Schwab, and TD Ameritrade as custodians for our clients. We never hold client money in our own accounts. If you already have an account at one of these custodians, all you would need to do is to give us trading authority on the account, which you can remove at any time. The use of custodians is a standard best practice, and for your peace of mind, it is one we always follow. You will keep your ability to control and monitor your money in your own accounts. For our Fortress and Citadel Portfolio strategies, we think there are always good investment options, because we believe the world is always in one of the four quadrants of—rising growth and rising dollar; rising growth and falling dollar; falling growth and falling dollar; or falling growth and falling dollar. That doesn’t mean we constantly like investing in U.S. stocks or even stocks in general. On occasion, we will hold a cash position. In other circumstances, we might overweight government bonds and commodities, like gold. Conversely, we might significantly overweight stocks in the right circumstances if valuations were reasonable and other factors positive. Similarly, we consider the merits of U.S. versus foreign, big versus small stocks, as well as real estate exposure. We think it’s important to have an investment strategy that is flexible and adapts to both changing market conditions and the risk thresholds of our clients. For those chasing performance, we would recommend a more nuanced, multi-strategy approach to capturing alpha while reducing risk. For those who want to avoid stocks until conditions are better, we would urge them to consider the merits of a multi-asset class approach and consider that other assets may rise as stocks falter. What kind of support and information do clients receive? We pride ourselves on personal service. A member of our team will be assigned to you as your personal contact to discuss your investments and financial goals. We provide regular written or video updates on our strategies, as well as a stream of research available on our website and blog. In addition to accessing account information via your custodian, we offer an online third-party performance and reporting platform that further assists in monitoring your accounts. In addition, we have a team that specializes in administrative matters that may arise. You will find us attentive and easily accessible. How big is Alhambra Investments? We are not a huge, impersonal financial conglomerate or an “investment superstore” with an army of individual advisors. Alhambra Investments has been steadily growing since our CEO and founder started the company in 2006, around just a few long-time relationships. By the first half of 2018, we were managing approximately $170 million for about 180 clients. Our nine-person investment team possesses over 170 years of financial industry experience, with a substantial amount of experience in the institutional space. Our typical client is a professional—clients range from engineers and academics to small business owners. Folks are finding us through our published investment research, who are actively seeking a firm addressing tough topics, like the future of the U.S. dollar and impact of large debt levels on economic growth. But we also have as clients, people without any particular interest in financial markets research, who oftentimes were referred by family and friends, who know and trust us. Account sizes average about a million dollars, but we work with many people who have smaller or larger accounts. We manage accounts for people living in the U.S. and abroad. We manage all manner of accounts, such as trusts and retirement plans, including IRA and 401k accounts. How can I learn more about your process, strategies, and research? Email or call us. We’re happy to talk about our passion—using our research and knowledge to help investors. You can expect a friendly, hassle-free call, one where we listen, where you ask questions, and where we answer the questions you want answered. We would love to hear from you and to tell you in a straightforward manner what we do that is unique, and why it can benefit you. You can also gather more information on our website and our blog, where you will find a stream of research articles and video interviews, or you can sign up for our weekly newsletter.